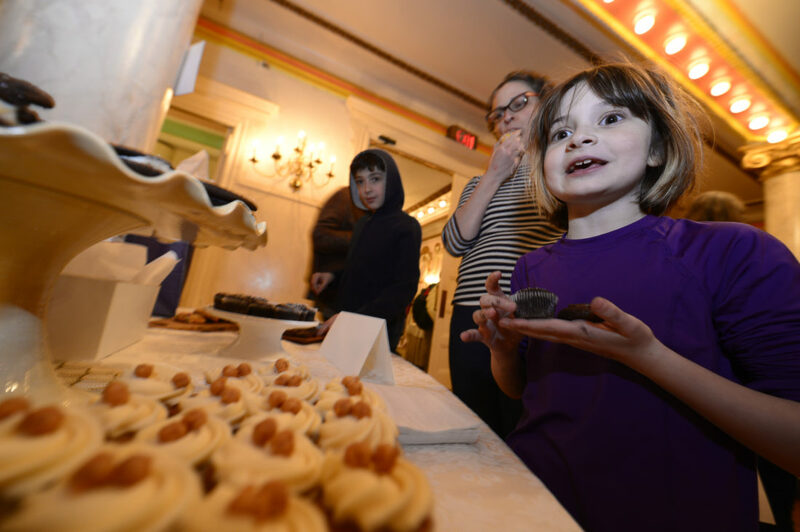 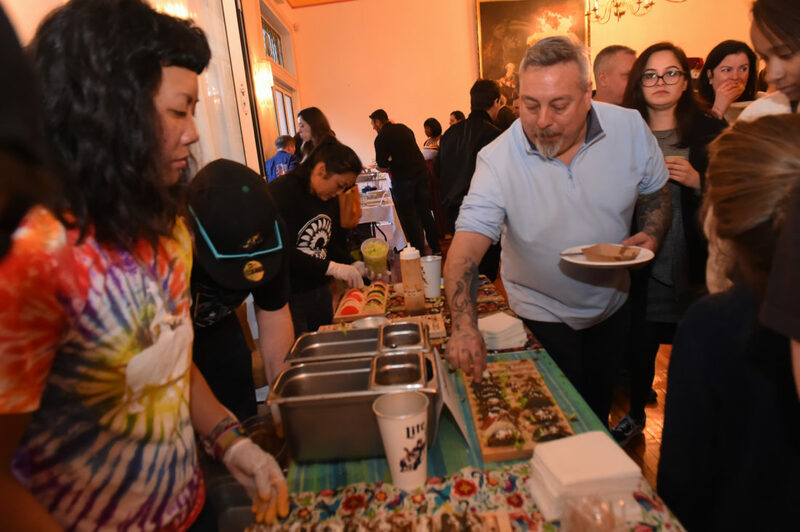 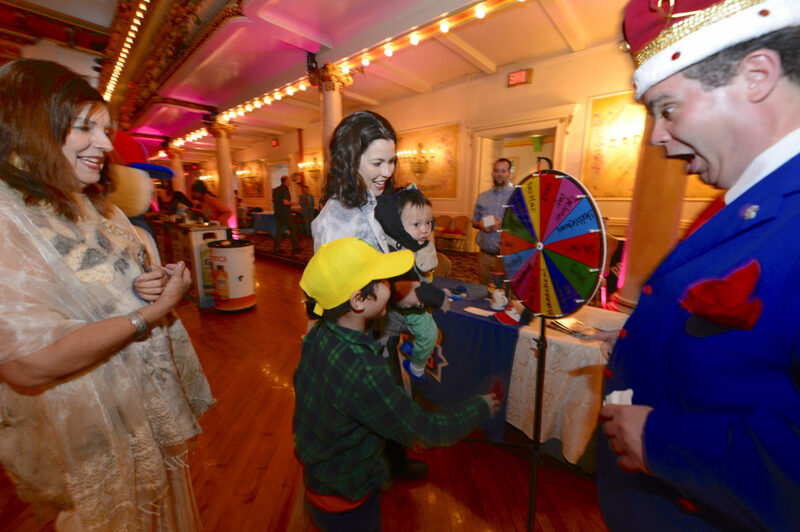 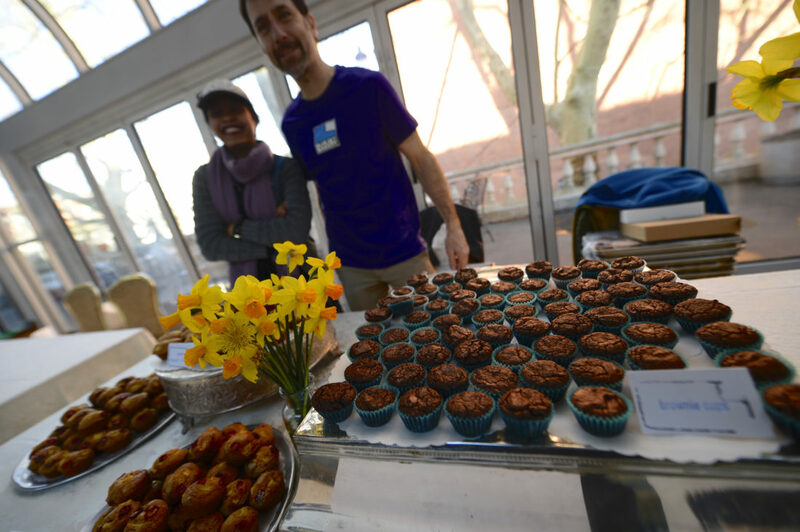 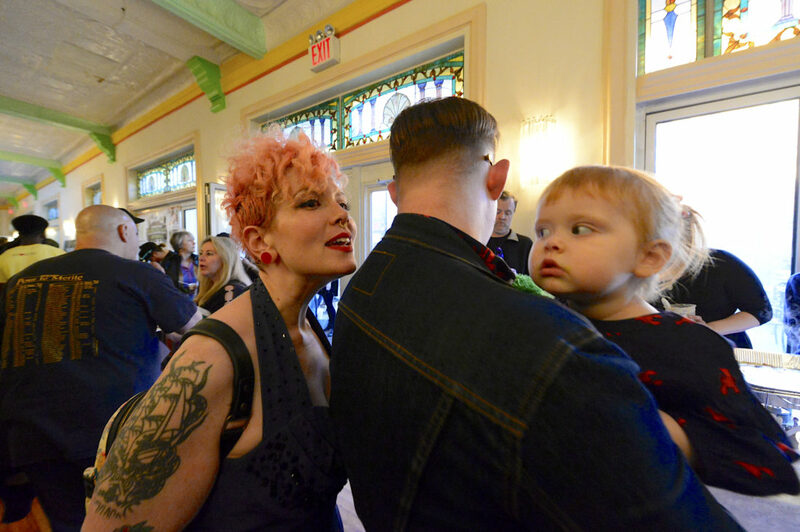 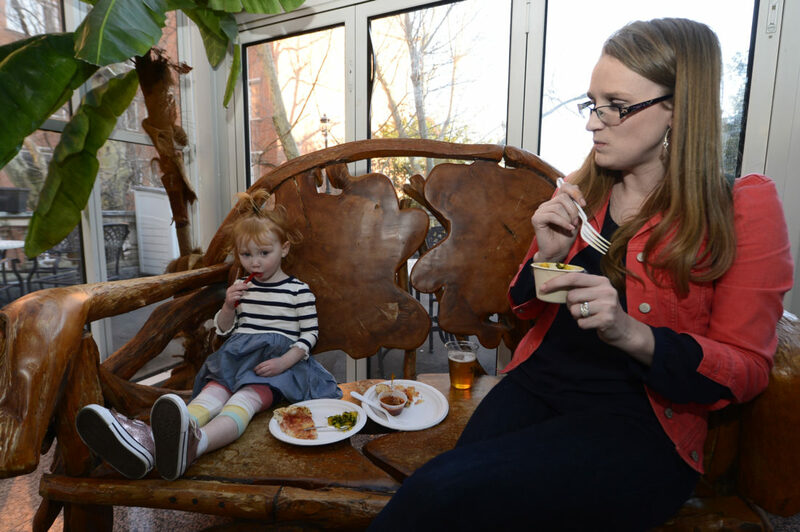 More than 50 Park Slope restaurants and bars convened on April 10th at the Grand Prospect Hall for the legendary food-and-drink festival A TASTE OF FIFTH. 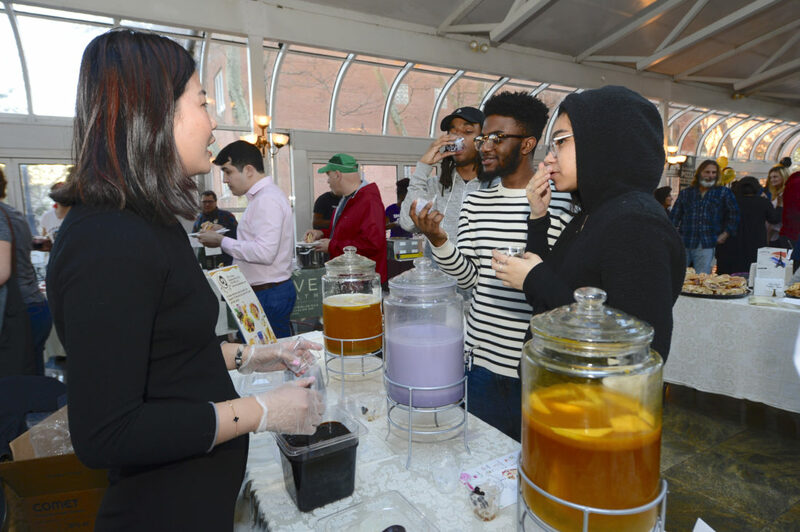 PARK SLOPE – If you ever wished to be able to walk up and down Fifth Avenue in Park Slope and sample the food of each restaurant, this was the chance of a life-time at this years “A Taste of Fifth,” where more than 50 Park Slope restaurants and bars gathered at the Grand Prospect Hall and served up a menagerie of incredible foods and top-of-the-line drinks to a hungry public. 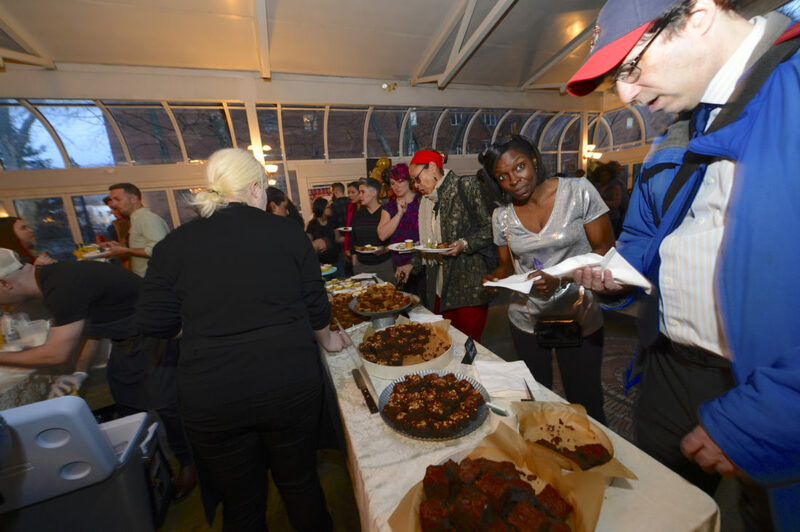 Patrons sample and discuss the food A TASTE OF FIFTH. 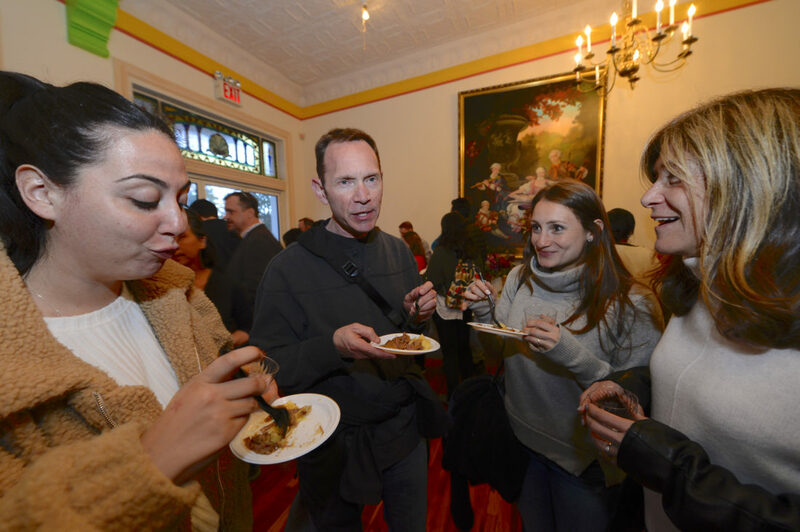 There were 12 new establishments (including Dram Shop, Pizza Secret and Amy Poehler’s Zula Wines) that joined Fifth Avenue favorites – Bogota Latin Bistro, Negril BK, Bricolage, Nunu Chocolates, Artichoke Basille’s Pizza, Maya Taqueria and Le French Tart, to name a few. 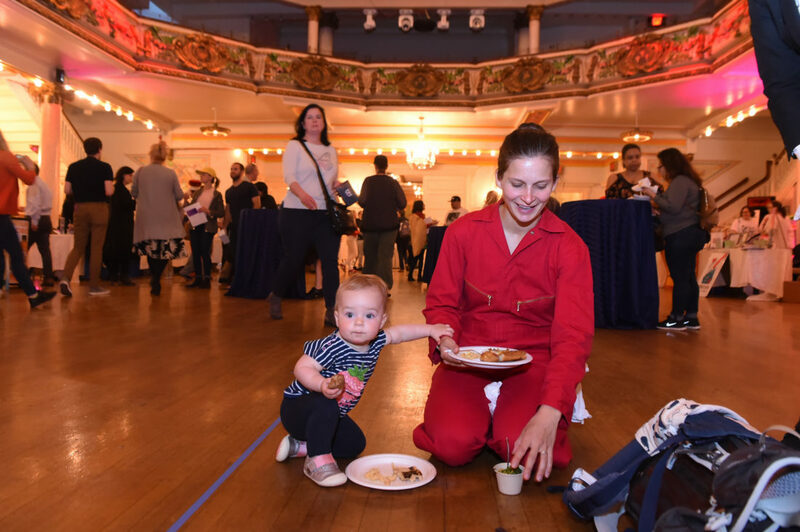 Walk into the Grand Ballroom and you can nosh on featured dishes from Fifth Avenue’s finest food spots – and then amble over to the pop-up speakeasy for unlimited free cocktails from Breuckelen Distilling among many others. 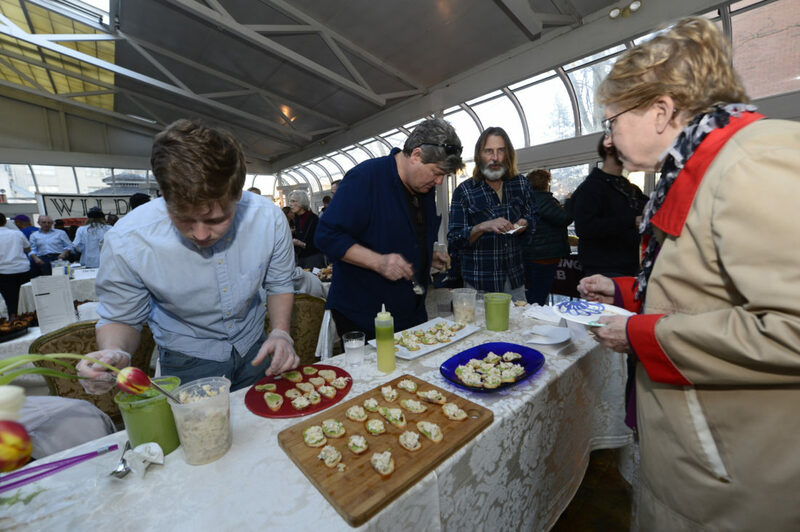 2019- A TASTE OF FIFTH. 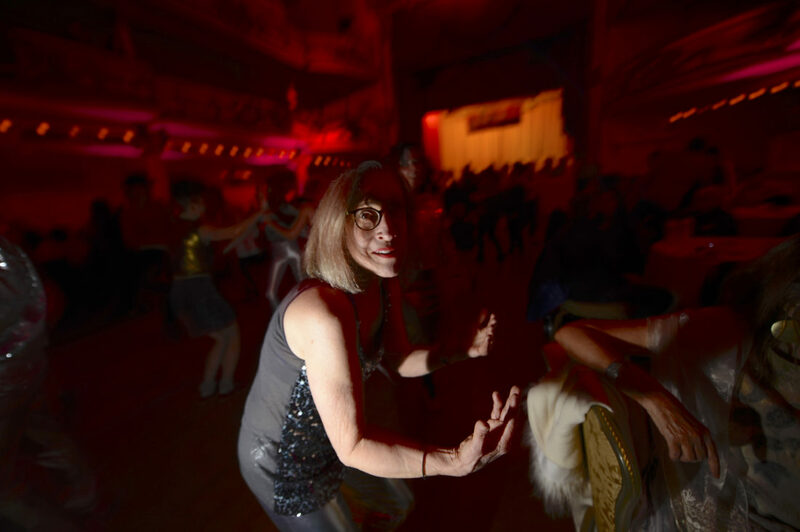 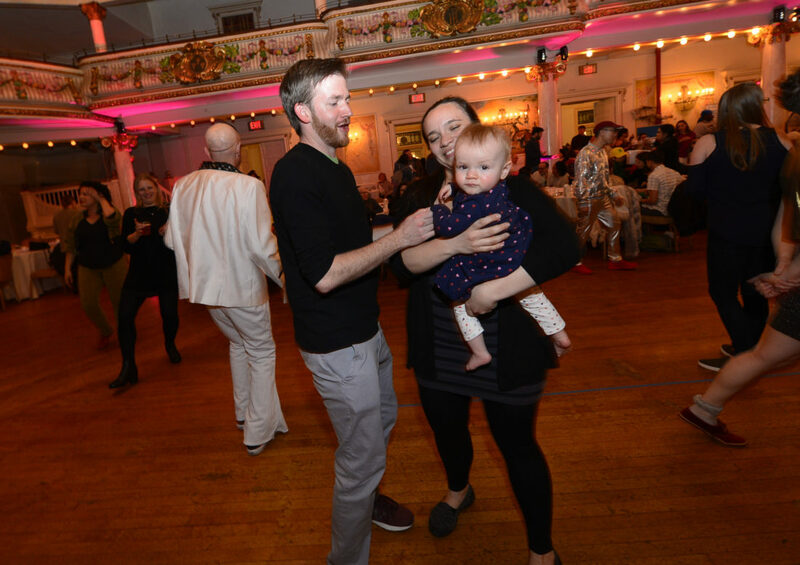 While residents ate and drink, they enjoyed the music from a local gypsy jazz group, the Hot Club of Flatbush, and DJ Ace, a cop at the 78th Precinct who moonlights as an old-school scratch DJ with a big following. 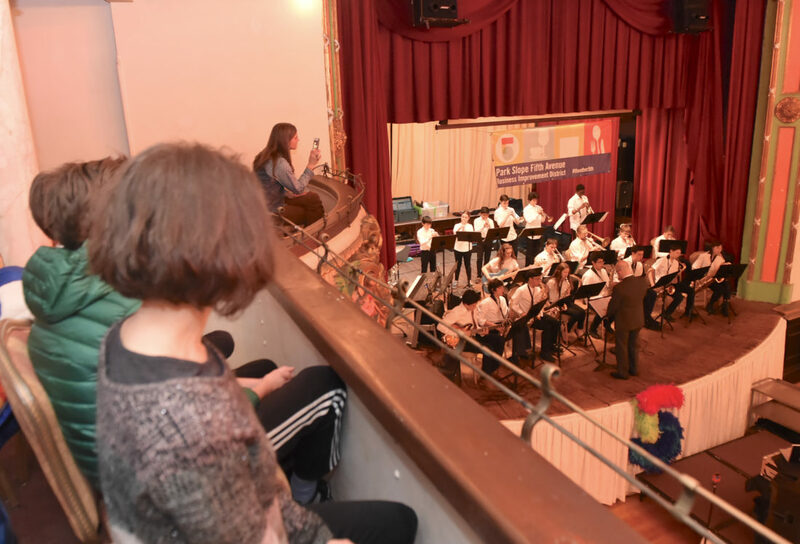 MS51 Band at 2019 A TASTE OF FIFTH. 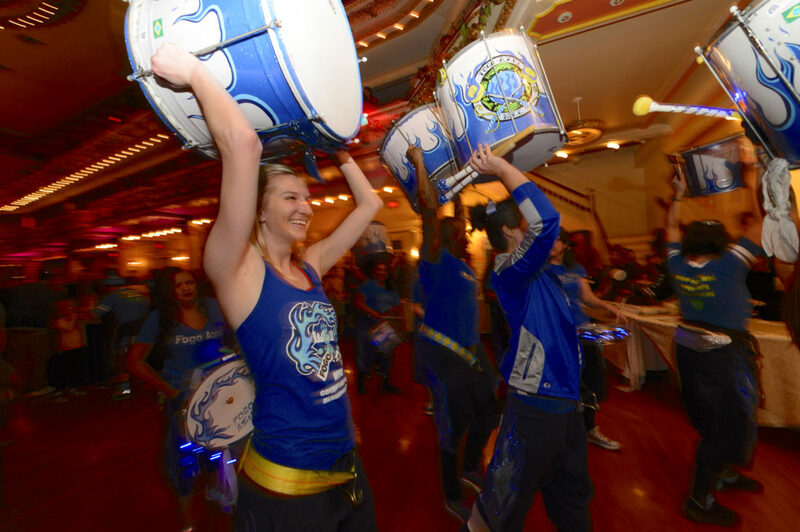 Also, the band from the William Alexander Middle School 51 played incredible music and the drum marchers of Fogo Azul paraded through the building to the delight of visitors. 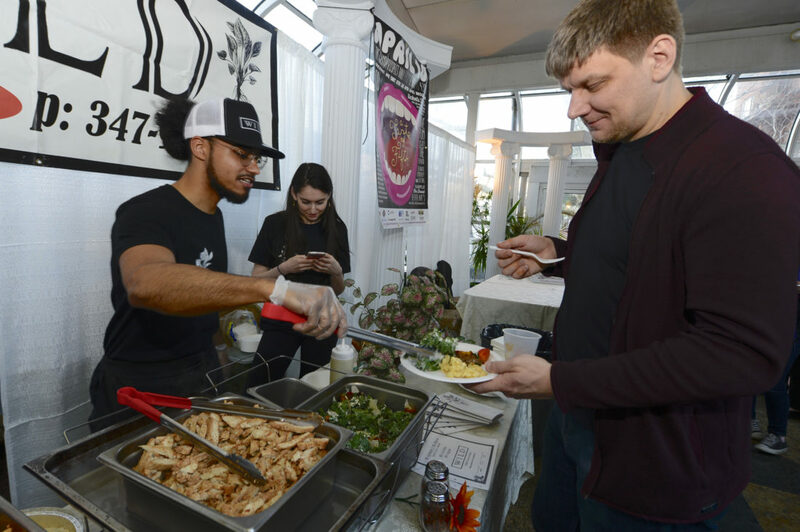 A third of the ticket $60 benefits a local non-profit of your choice while the rest will go towards the Business Improvement District programs, according to Mark Caserta, executive director of the BID. 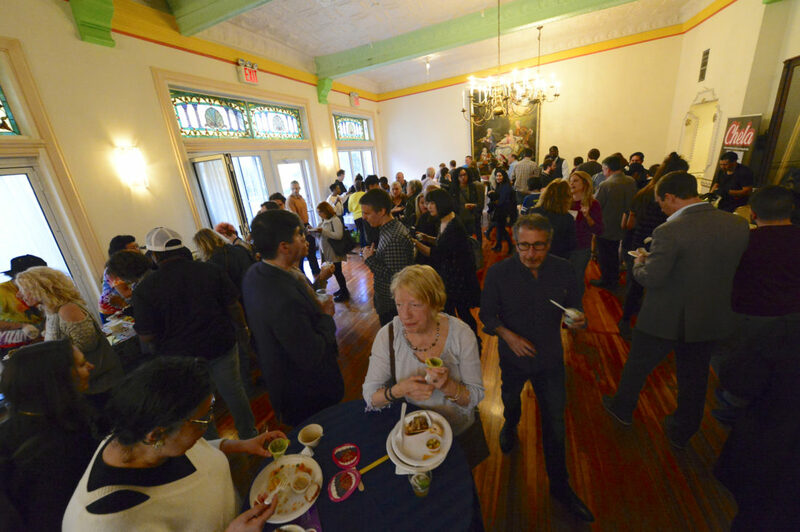 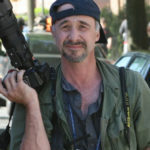 Spoke the Hub Flash Mob with Mark Caserta A TASTE OF FIFTH. 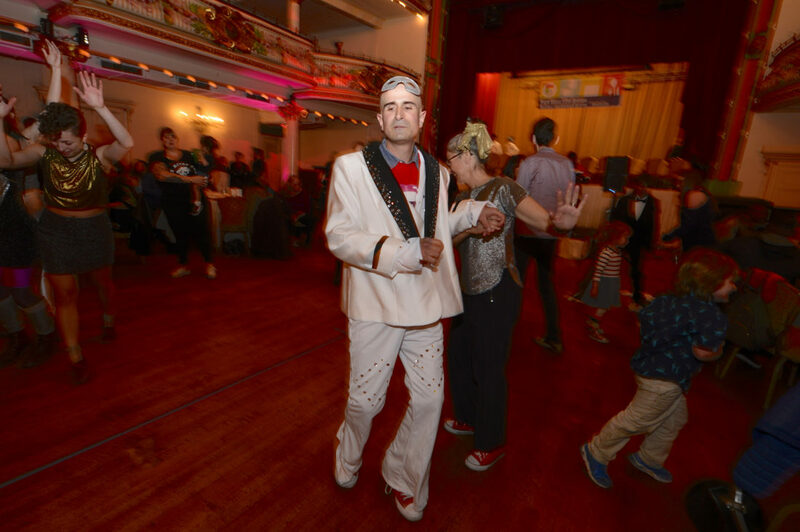 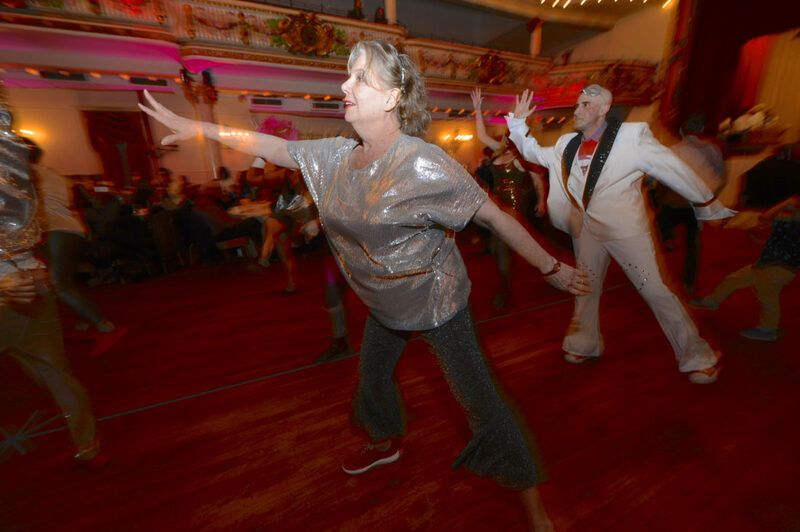 Caserta, dressed in a white zoot suit, joined the Spoke the Hub dancers on the floor of the Grand Prospect Hall for a colorful evening. 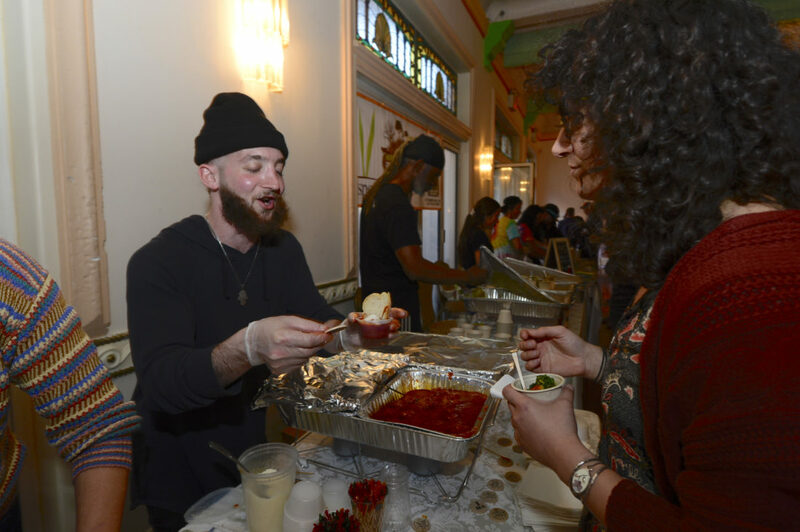 Some of the participating charities this year included, CHIPS, Brooklyn Dream Factory, Brooklyn Pride ,the Fifth Avenue Committee, BAX, the Old Stone House, the President Street Garden, Good Shepherd Services, the Piper Theatre, Imani House, and local schools Public Schools 39,118, 295, 124, and Middle School 51. 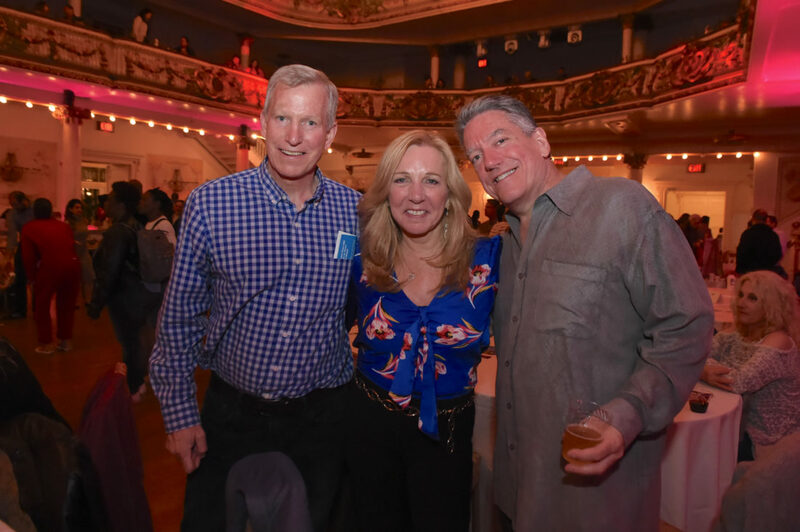 Councilman Brad Lander joined the fun and said it was a great night for the community to come together and benefit great causes. 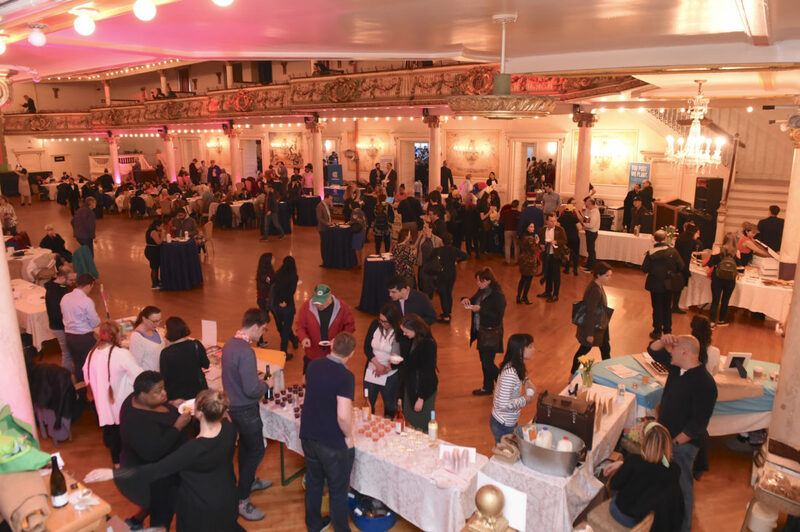 More than 50 Park Slope restaurants and watering holes will convene April 10th at the Grand Prospect Hall for the legendary food-and-drink festival A TASTE OF FIFTH. 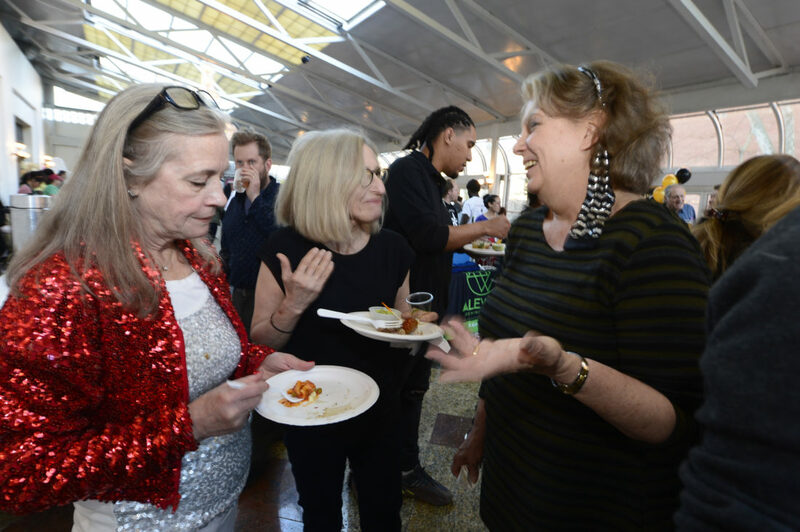 Getting ready for the evening at 2019 A TASTE OF FIFTH. 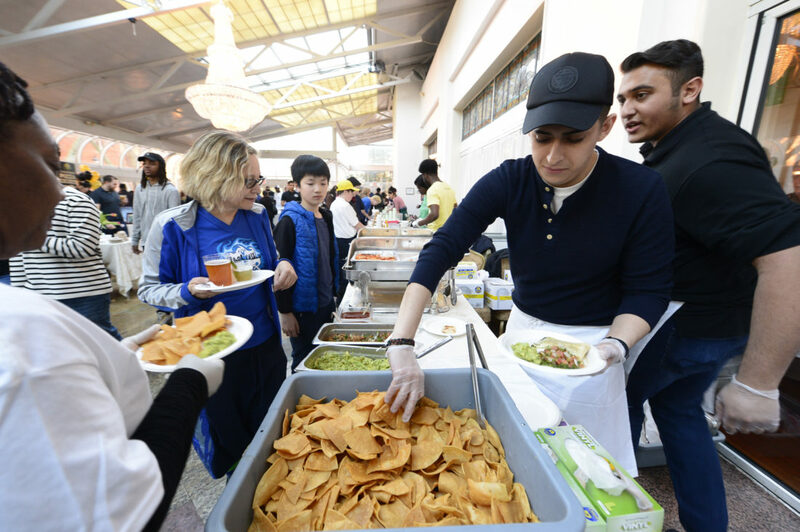 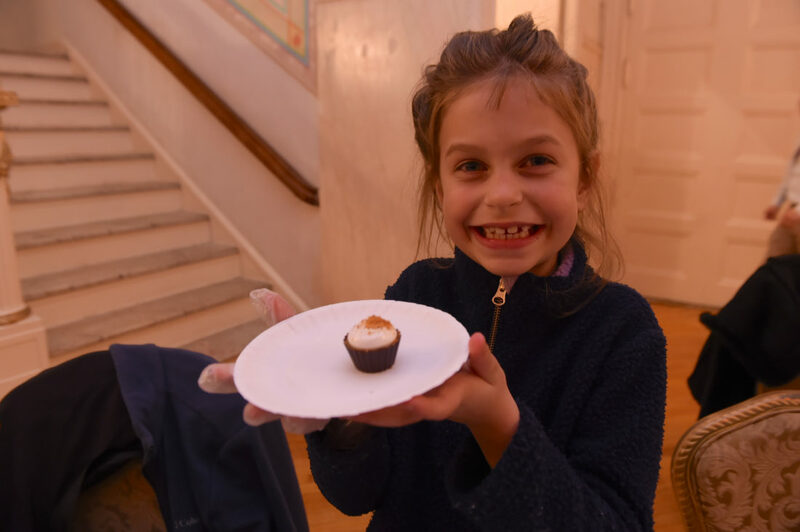 Desert tables were many and children were delighted at 2019 A TASTE OF FIFTH. 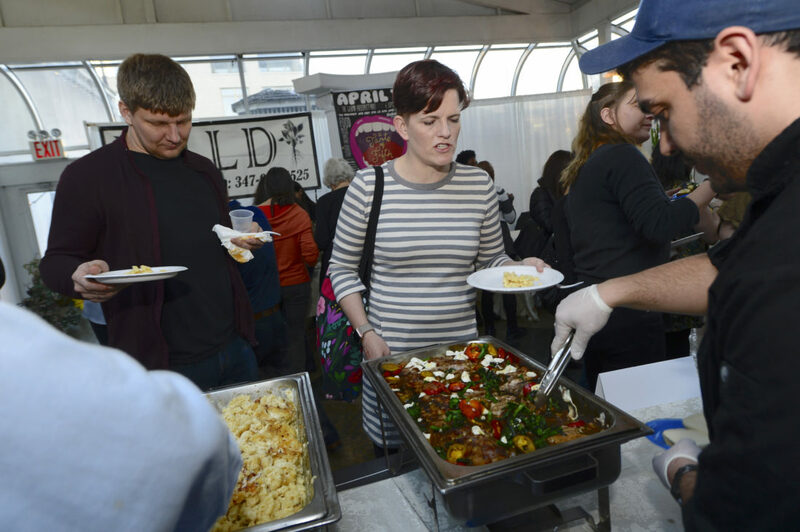 Where there’s good food there’s a line. 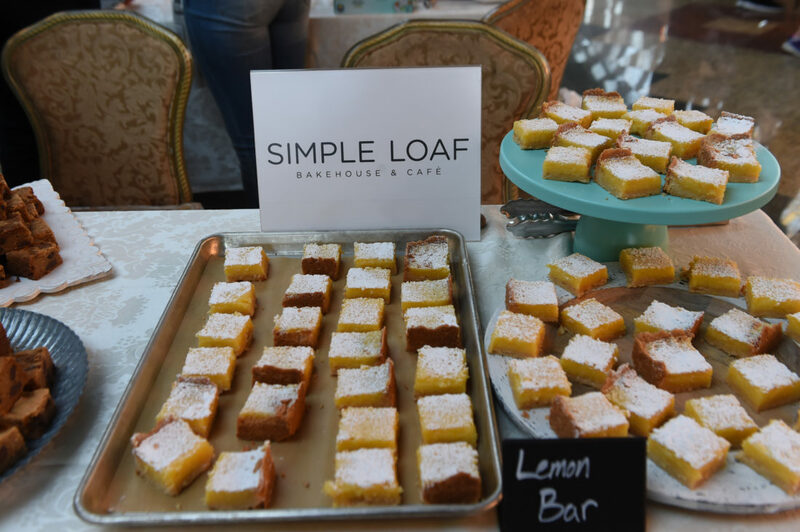 A TASTE OF FIFTH. 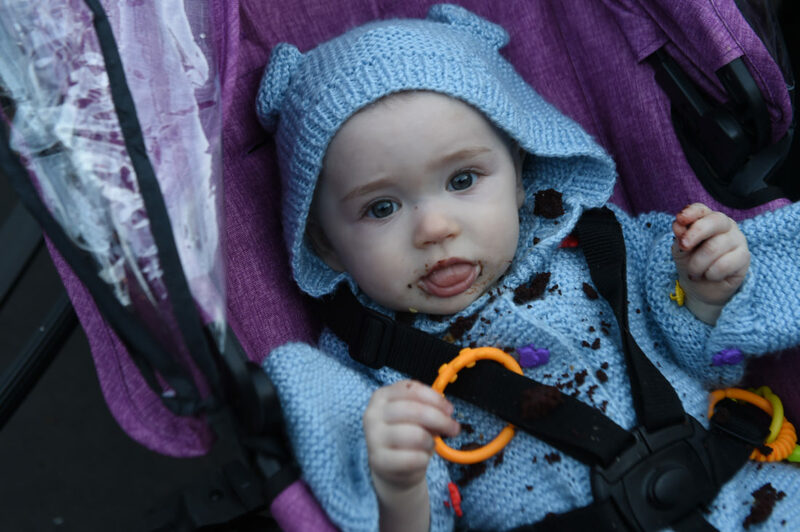 That brownie was not at all bad, not at all … A TASTE OF FIFTH. 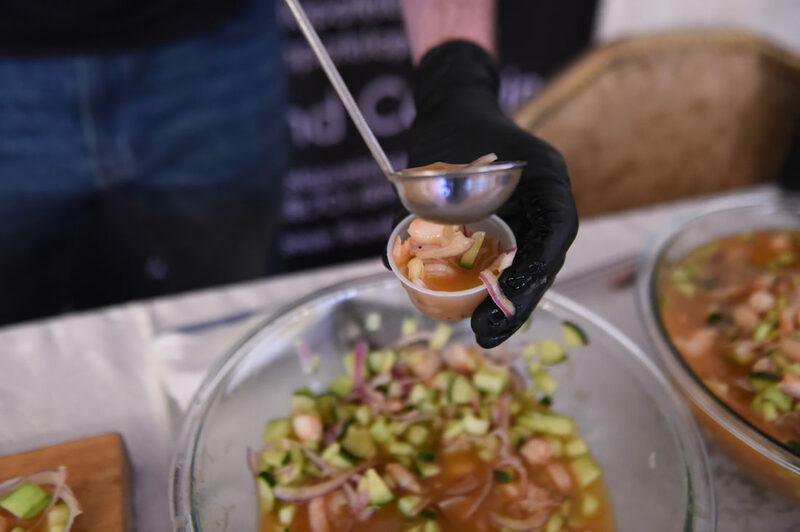 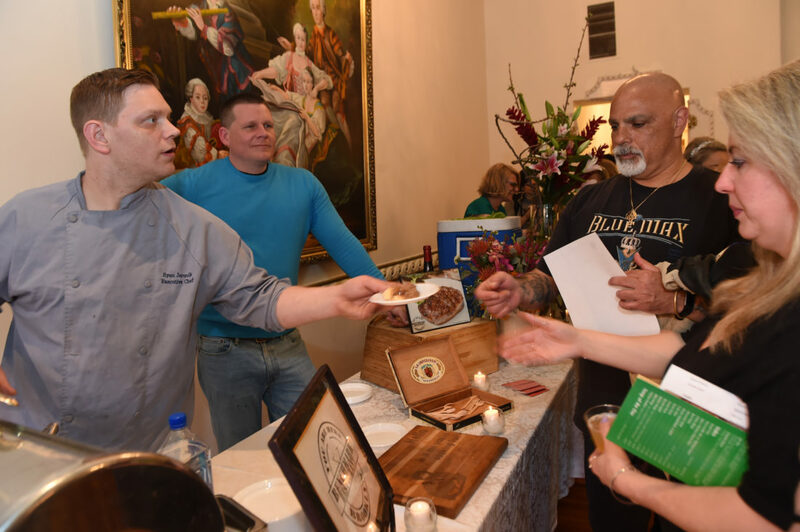 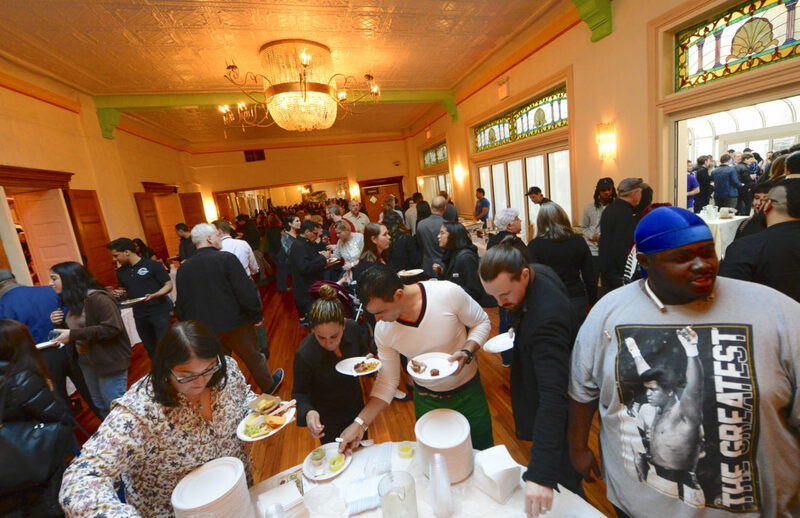 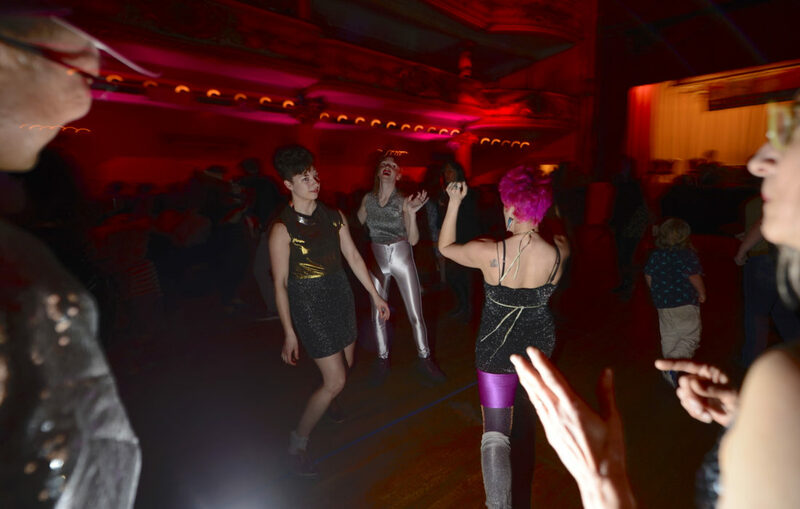 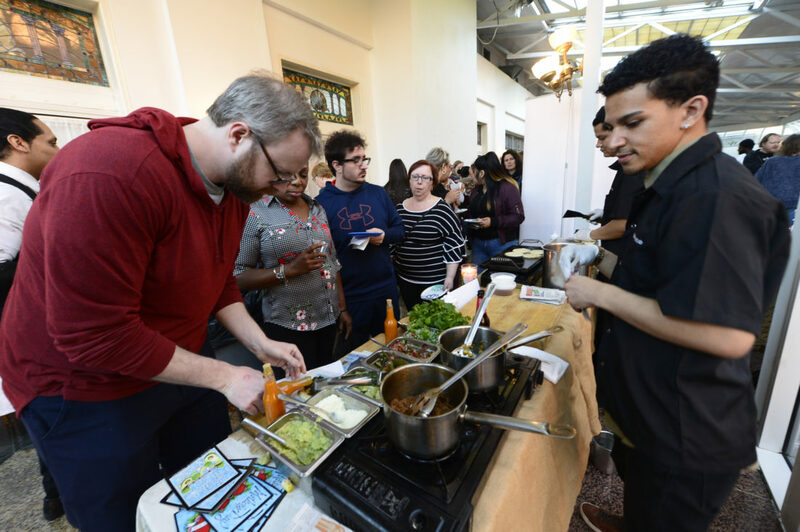 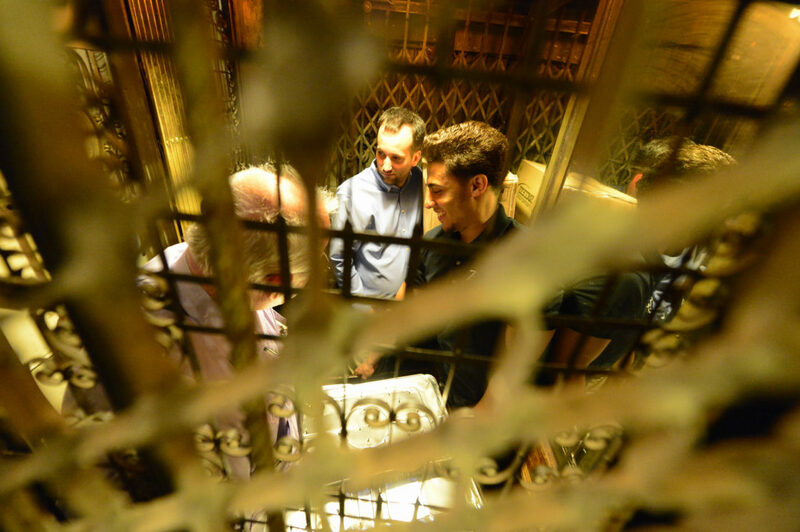 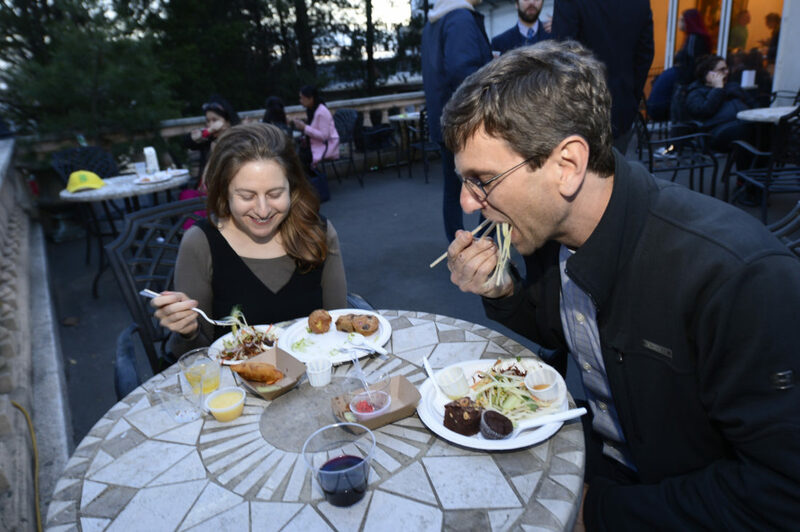 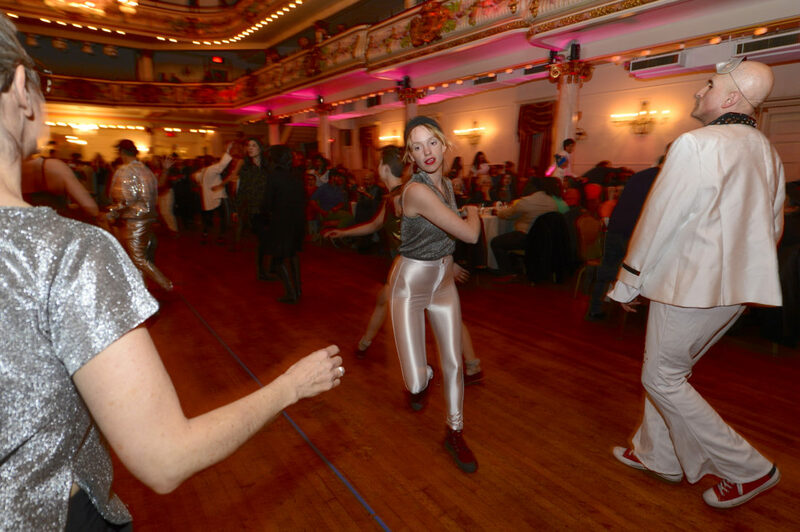 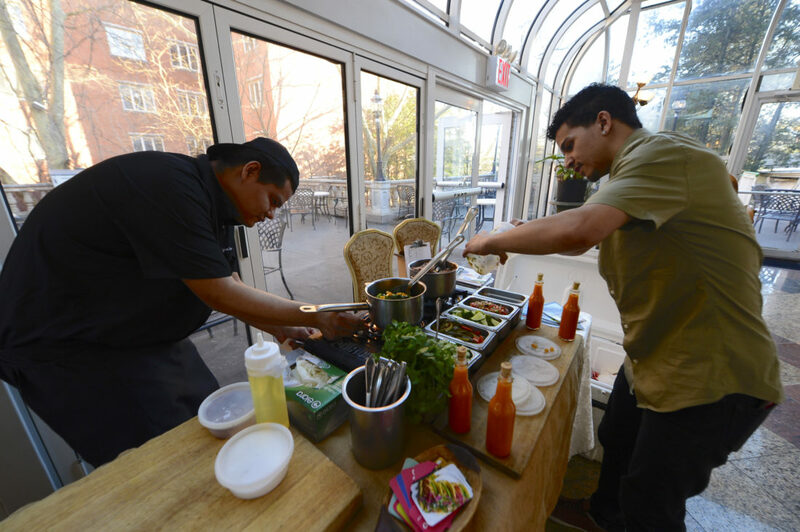 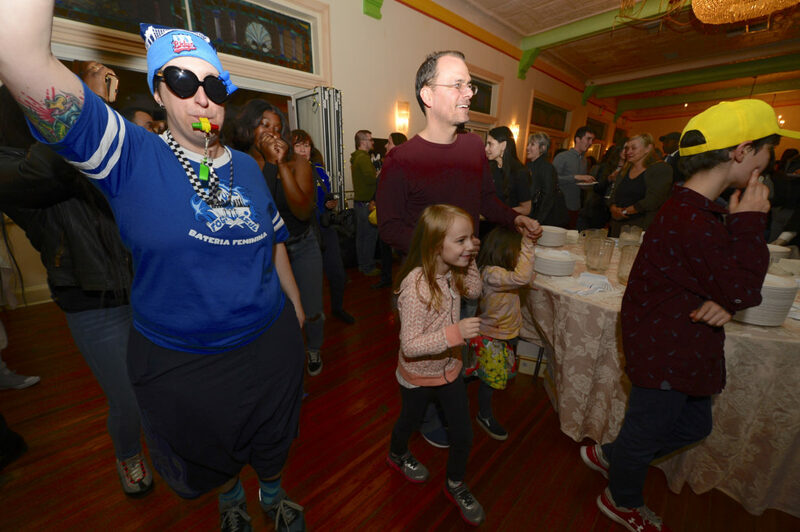 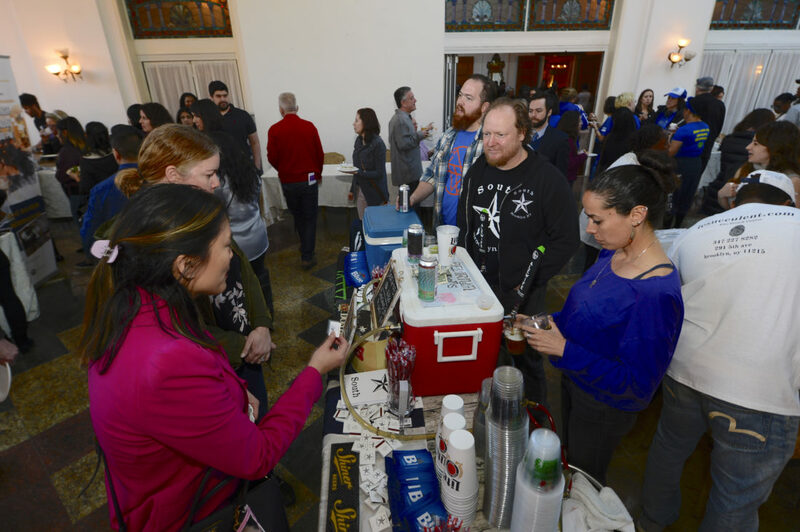 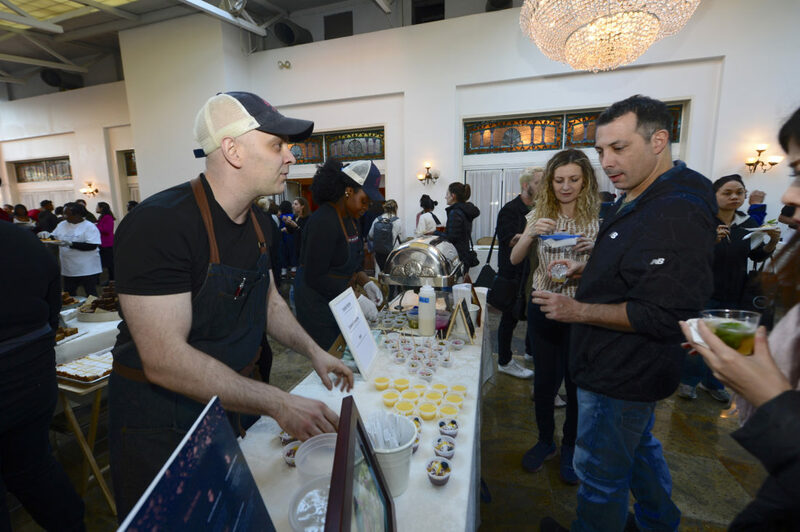 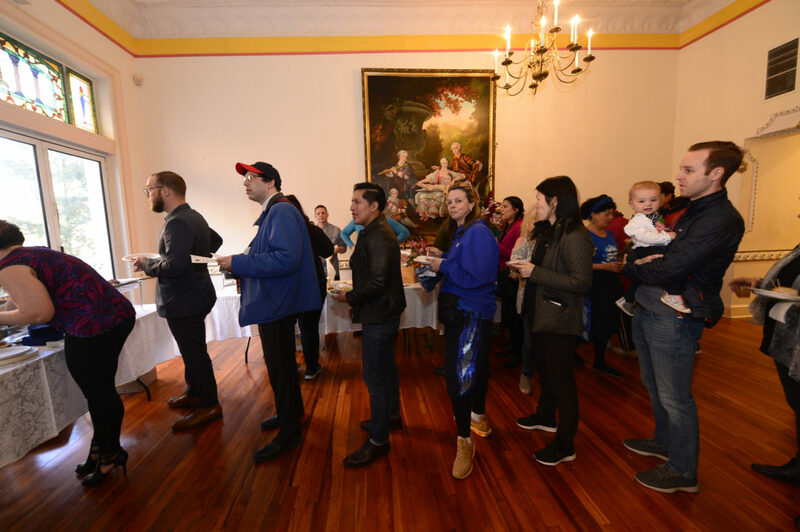 More than 50 Park Slope restaurants and bars gathered on April 10th at the Grand Prospect Hall for the legendary food-and-drink festival A TASTE OF FIFTH. 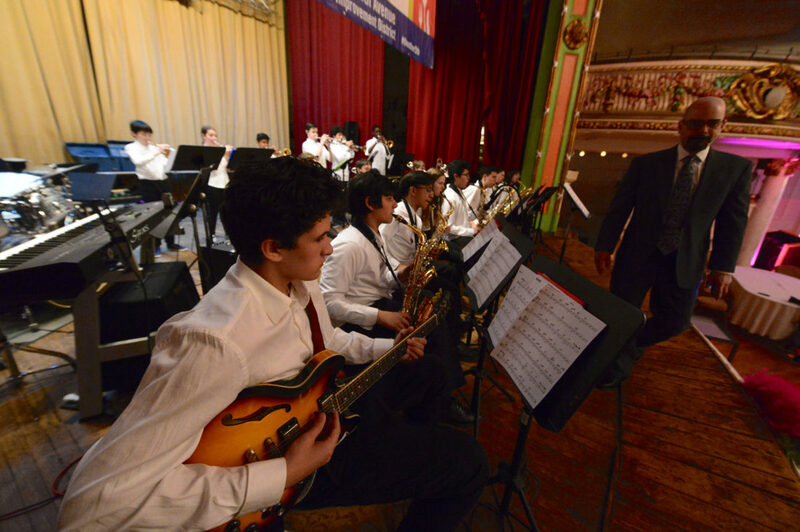 MS51 Band was fantastic at A TASTE OF FIFTH. 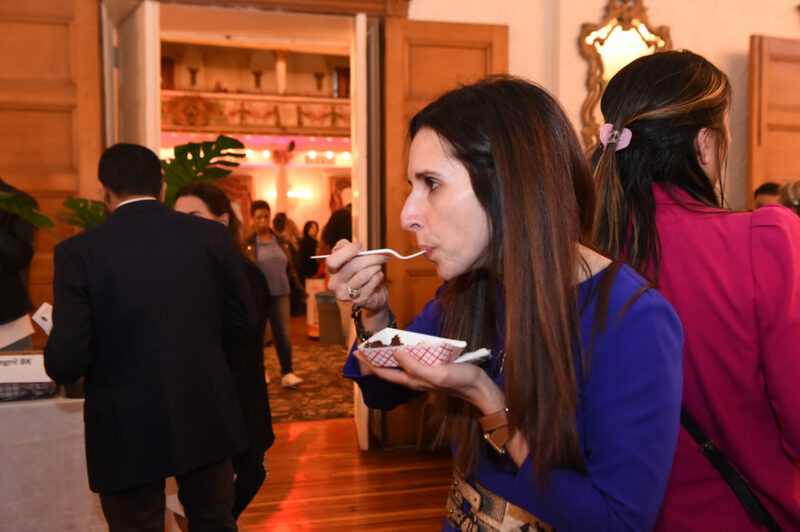 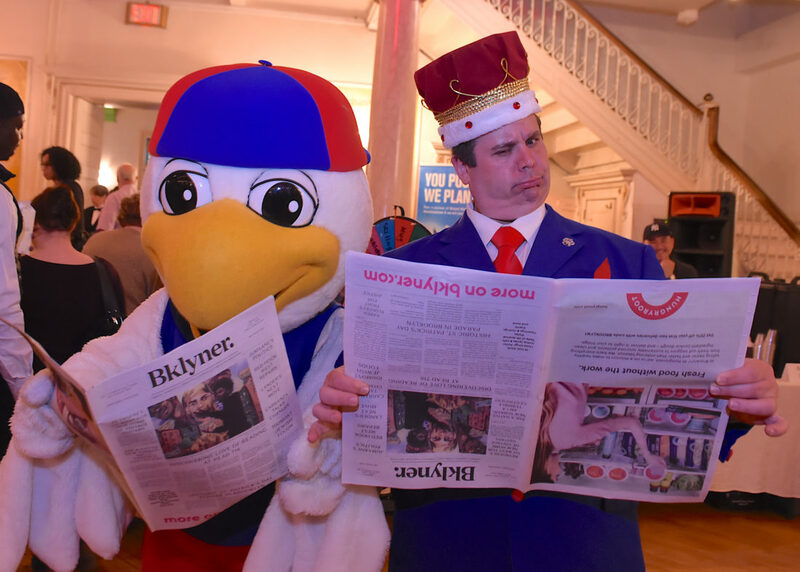 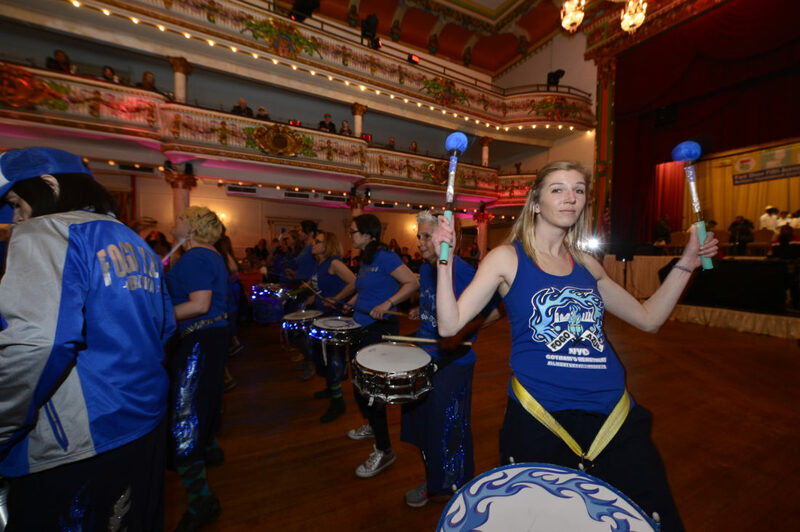 2019 A TASTE OF FIFTH yet again took place at the Grand Prospect Hall. 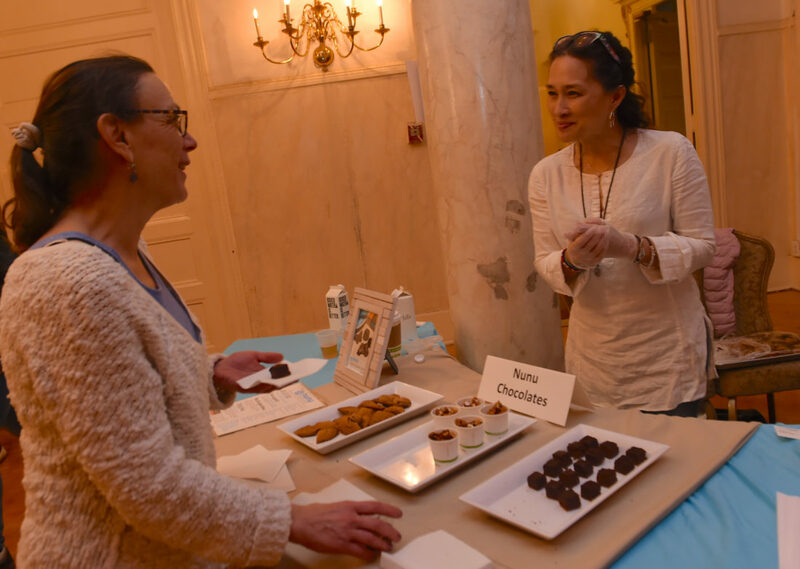 Till next year – A TASTE OF FIFTH.